Find irons and steamers at Ace to keep your clothes looking their wrinkle-free best. Whether you’re looking for portability or specific garment care features, we have what you need. Steam irons apply hot steam to the material being ironed to speed the ironing process. And since some garments require no steam, heat-only ironing care, most clothing irons come equipped to handle whatever type of heat necessary. Although not as common as the household clothing iron, in addition to lifting wrinkles from intricate and delicate pieces of clothing, garment steamers allow for a wider range of uses. Garment steamers can be used to lift pet hair off upholstery and freshen and smooth out other fabric home accessories including drapes, comforters and rugs. Steamers are generally safe to use on most fabrics and can even be used to remove dust mites from mattress and pillow helping reduce allergens. 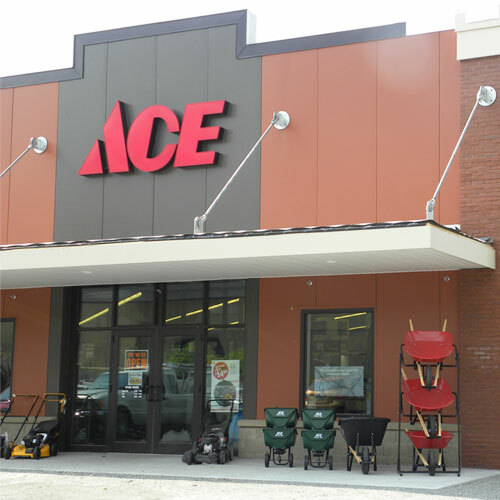 At Ace, you’ll find a variety of irons and steamers and the other laundry care items you need, like ironing boards and covers, so you can spend less time ironing and more time on the things you enjoy.